Spooner, Wisconsin. Mayana Chocolate was founded by Daniel and Tamara Herskovic in 2008. At Mayana, chocolate is seen as a canvas for beauty and vibrant flavors. The finest quality, all-natural ingredients are used in their candy bars, toffee and bon bons. 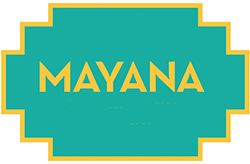 Mayana Chocolate has been recognized in Food & Wine Magazine's Top 10 Pick in February 2014, Epicurious in April 2014, Chicago Reader "Best Chocolates" in 2010 and won the Chicago Luxury Chocolate Salon in 2008.